Rate this Article Advancements in VR gaming not only focuses on the main devices or HMD's themselves but include peripherals as well that expand and add to the total VR game experience. Here are some of them. One of the main focuses in the continual development of VR technology would be on how to make the experience more intense and realistic. The objective is to make it easy for the player to interact within the game in the virtual world. To that effect, VR equipment developers are hard at work to create peripherals or add-ons to the main VR HMD products to extend the gaming experience to its current fullest potential. Aside from optics, VR researchers have been making inroads in the fields of movement tracking, tactile feedback and controller systems. These technologies do have practical applications aside from games but it is in gaming where they can be tested extensively and have the most potential to shine. Let's take a look at 3 more advancements in VR gaming as well as in the general field of VR and the current ergonomic man-machine interface technology. One such feature that can really heighten an experience in VR is movement. This is important especially when playing immersive games as one needs to interact fluidly with the events happening within the games reality. Enter PrioVR, a body-harness suit developed by YOST Labs in Portsmouth, Ohio. The company which was founded way back in 2012 specializes in low-cost inertial sensor and motion capture technology. The PrioVR is a worn contraption composed of tracking sensors that focus on ones skeletal movements. Instead of wearing a full body suit, the player wears a strapped harness that is loaded with sensors. The company has produced 3 versions of its sensor harness to date. The Lite version comes with 8 sensors and is a top body harness only. It only tracks upper body movements and can be used for VR games where the player is only required to sit-down and not move around. A full-body version called the Core uses 12 sensors and can track your entire body movement. This would be perfect for games that require one to be up, about and moving around. Finally, a professional version of the harness (obviously) called the Pro uses 17 sensors and can be used for professional motion capture (MoCap). Companies and developers can use it to create fluid CGI animations for games and films alike just like they do in the Lara Croft games. The sensor technology maps out your skeleton onto the virtual avatar you represent and control, resulting in a fluid motion with minimum lag which no doubt is great for playing in VR. Another focus of development is in controller technology. The use of controllers in VR and the advantages as compared to the regular console pad devices has been well demonstrated by both the Oculus Touch and the Vive Tracker controller systems. 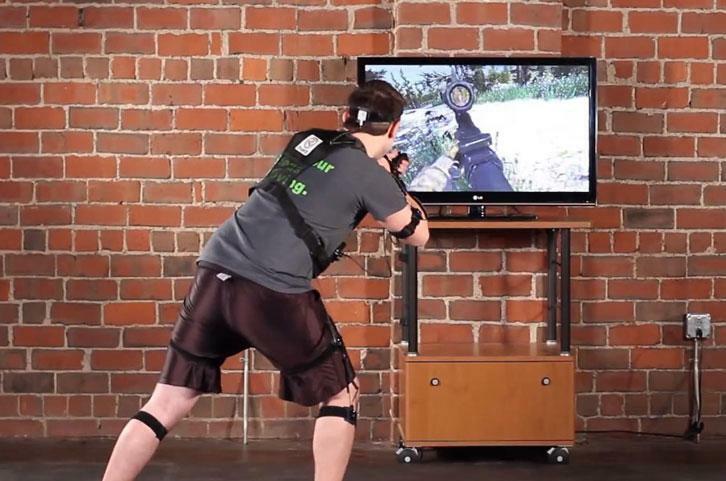 Handling in-game weapons, objects and devices and getting realistic feedback from them has become an integral part of video game and VR game play. 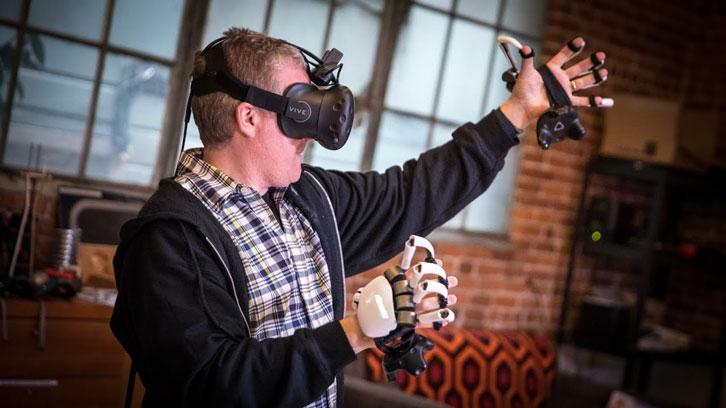 Tactical Haptics based in Palo Alto, California is continually developing a technology that gives a very realistic feel to VR controllers. Called the Reactive Grip, the technology uses a special solution to haptic feedback that recreates a feeling of friction of held in-game objects in your hand instead of just mere vibrations. The company has been working with the technology for several years. 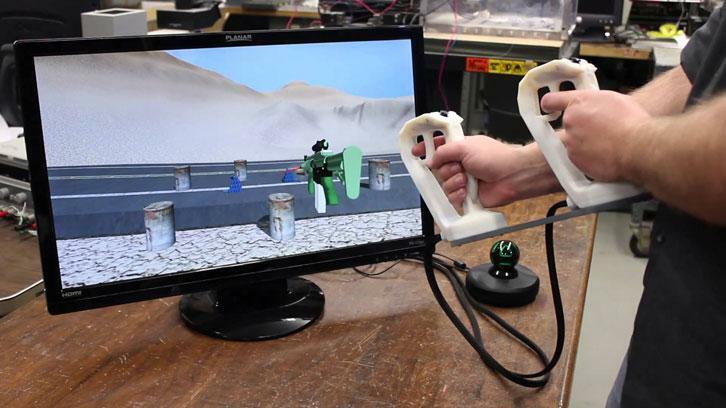 Using the prototype gives the player various grip sensations depending on the weapons being used. Firing a gun will give of a strong recoil kick while slashing a sword will produce pressure on the handle just like swinging a real sword and hitting something or someone. The technology can be adapted to both Oculus and Vive controllers using add-on attachments but there currently seems to be some limitations with the Vive controller due to weight and controller design issues. To this, the company has started working on a custom SteamVR tracking solution which will be offered as an all-in-one controller device. Another company doing development in haptics is China-based Dexta Robotics. The company has been working on an electro-mechanical exoskeleton glove that can track 11 Deg of freedom of motion with variable force feedback for each finger. The exoskeleton will lei you actually feel the solidity of an object in VR. Touching and trying to squeeze a rock will have a very different effect when trying to squeeze a sponge or a rubber duck. You would be able to actually feel it just like the way it would feel in the real world. The company has been working with the product for over 2 years developing around 20 prototypes before coming out with the final one. This was then tested by top researchers and developers for VR and Tech companies involved with gaming resulting in a lot of positive feedback. As the company has developed effective demo software and an SDK kit, the Dexmo DK1 for developers, Dexta is currently exploring potential options for mass production of the technology beyond the prototype stage where it could be put to good use not only for games but practical applications as well. As of now, the exoskeleton glove will need content to be developed that would take advantage of the gloves capability and finally make it into a product that can readily run out of the box. As VR and AR as well, are technologies with a lot of potential for future applications, more developments are likely to follow. The peripheral systems discussed are either in their prototype or beta-test stage with the exception of the PrioVR which has already released a Developer Suit for around 1200USD. There are still no current announcements regarding the price or release of final consumer versions.